Founded in 1999, after graduating from art-school, atelier 11 became wel known in the Antwerp fashion scene. After some inspiring collaborations, we decided to start our own collection. Rebels & Icons : jewelry for her. Heroes : jewelry for him. 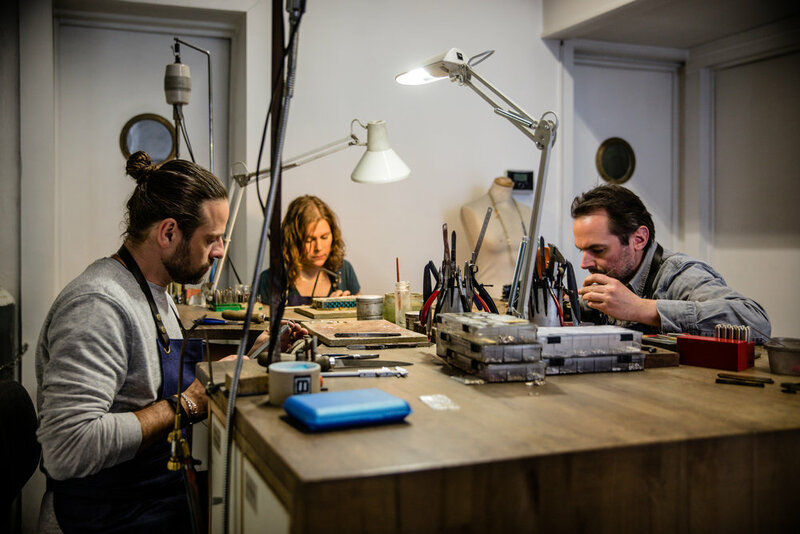 Atelier 11 : our workshop, where we create jewelry for fashion designers and professionals.